Now forget about the Belgian beer or the chocolate. 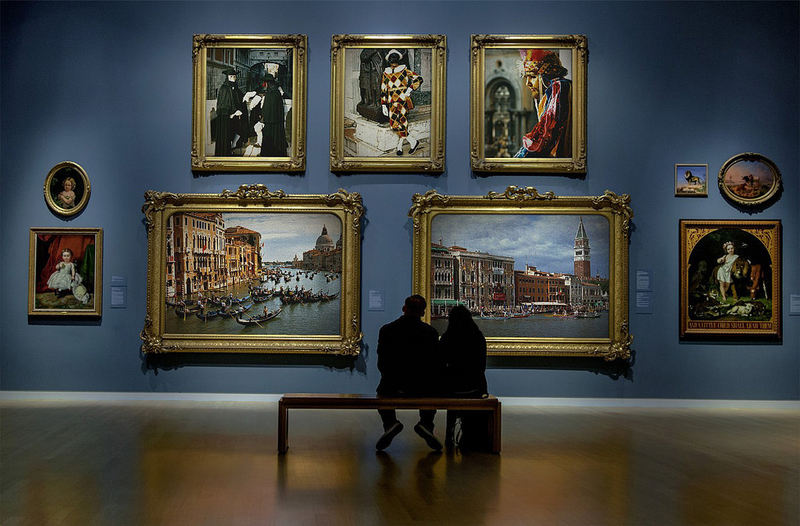 Imagine walking into a gallery and you can take everything you want. One rule: you first need to catalog the objects… What would be the easiest and quickest way to create metadata for the artworks? Let us now go through the four data models we announced in the video at a slower pace, taking into account the possibilities and limits of each model. From top to bottom, left to right, this image represents tabular data, relational databases, XML and RDF. For each model, we’ll ask ourselves the same set of questions, so that you understand the characteristics of each model. Models helps us to make abstraction of reality. You may think of a data model as a particular pair of glasses, influencing the way in which you see the world. Models are made concrete through file formats, query languages and software. How does the model address updates and sharing? 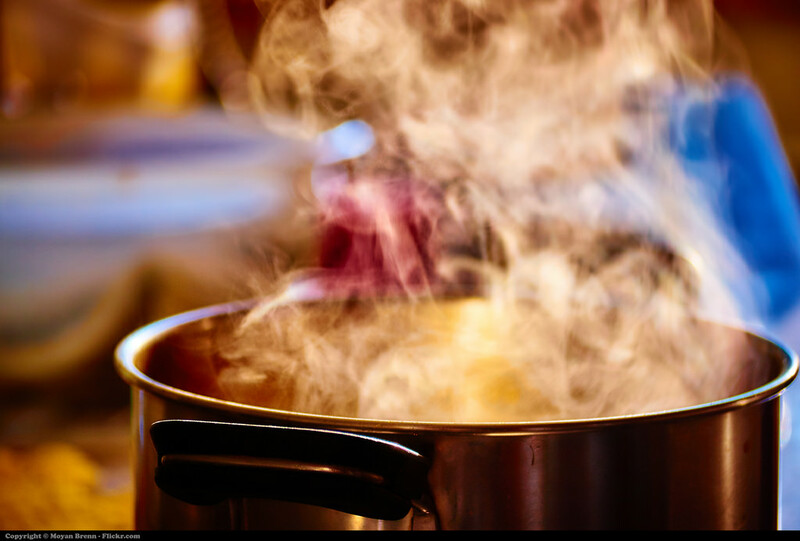 You can think of a dish as the model and a recipe as a serialization format. Are tabular data really easy to use? 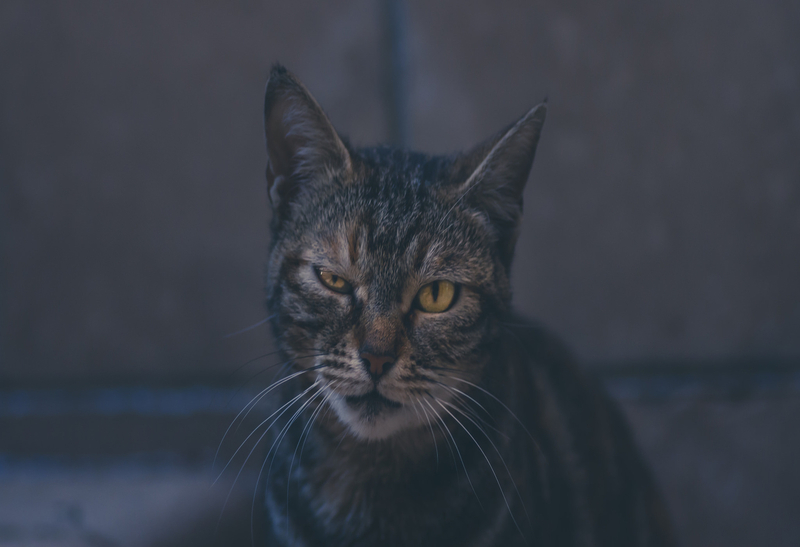 This cat makes the same face your IT crew would make if you propose to manage the library catalog with a CSV file. Flat files are bound to introduce inconsistencies in your metadata. Each time you want to represent a value which was already previously encoded (e.g. name of an author or a place), you have to enter it again manually, leading to errors over time when updating the metadata. Also, search is ineffective as you have to query the entire file. On the upside, sharing, distributing and updating tabular data is very easy. A simple text-editor allows other people to read and reuse the data. Limits and possibilities of tabular data? Data quality: prone to inconsistencies! How do we overcome the inconsistencies and poor search within tabular data? It is sometimes more an art than a science! Note how the data which were packed together in one flat file are now represented in three distinct tables: Creator, Work and Collection. Relational databases allow us to move away from having simply one table with a set of columns, and split out the values in separate tables. Each table groups together a set of attributes which define an entity. 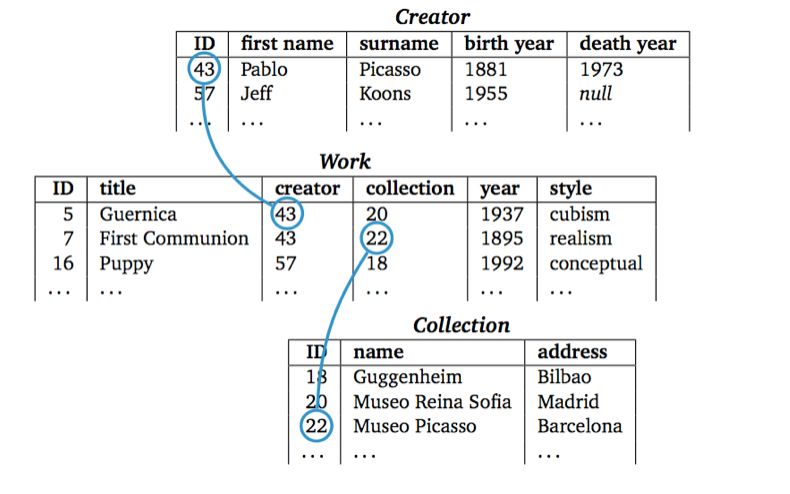 With the help of unique identifiers, relations are created in between the different tables. Now, we only need to encode once the values for the artist Pablo Picasso. If we describe a second work of his, we just need to refer to the ID of the record created previously. By doing so, we can ensure more consistency in our metadata. Websites such as http://sqlfiddle.com allow you to experiment on your own! 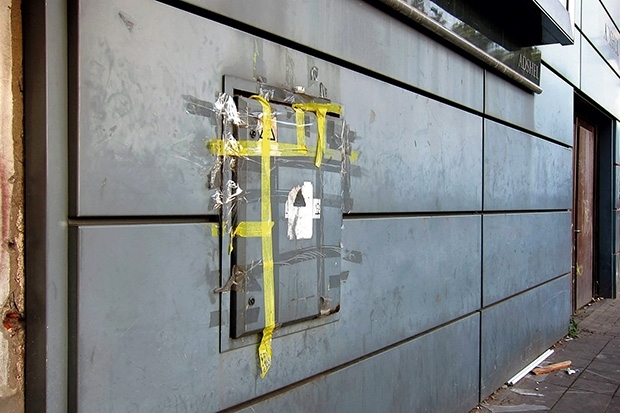 Using duct tape to McGyver yourself out of a problem can be used as a metaphor for many of the ad hoc solutions found not to tamper with the schema of a database. For example, if there is a need to encode new information in the database, but there’s no time to redesign the database schema to accommodate the new data, people often rely on external flat files, managed in Excel for example, to keep track of new reference data in a quick and easy manner, based on the assumption that they will be integrated into the database in the future. However, in practice the ad hoc solution often is used for a long period of time, leading to inconsistencies between the centralized database and the local spreadsheet. Both data and the schema are locked up in a binary file, coupled to a specific software—you can’t just copy/paste a database and give it to someone else! 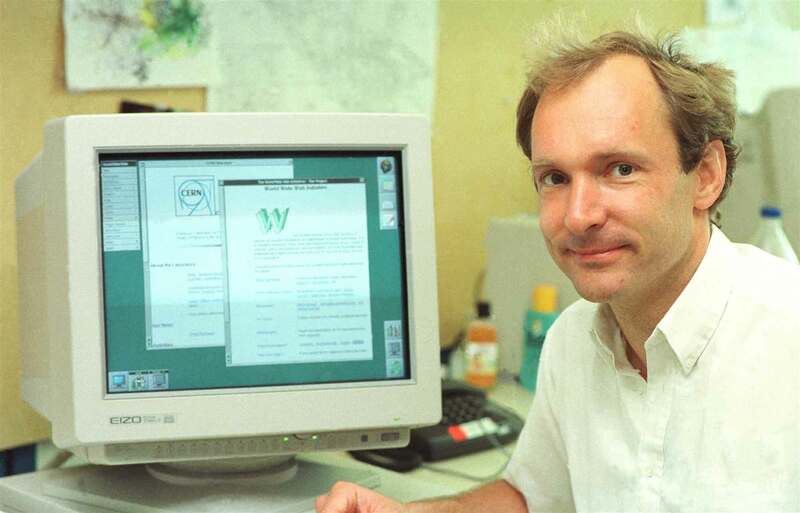 The development of the Web by Tim Berners-Lee in December 1989 at CERN and its rapid uptake in the 1990s underlined the importance of sharing and distributing data on the Web. The difficulty of sharing structured data from relational databases and the explosion of non-structured content on the Web in the second half of the nineties finally led to the development of XML, which became a W3C Recommendation in 1998. In order to understand the rationale of XML, we need to go back a bit in time to see how markup was developed as a data model. We simply indicate how that specific string of characters should be displayed—it’s makeup! 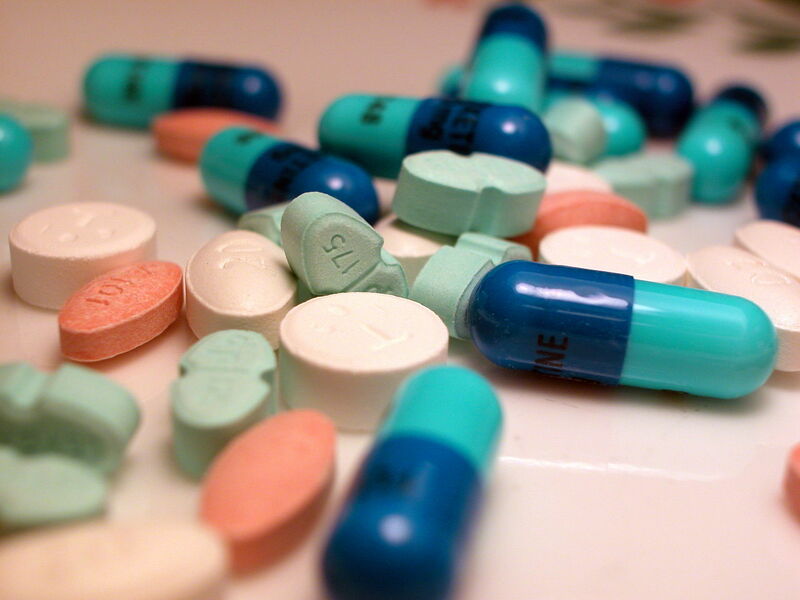 Highly regulated sectors such as the pharma, military or aeronautics industry had to manage very voluminous sets of documentation in the 1970s. In order to manage large sets of full-text, the idea of markup was developed. However, how can one predefine and standardize all potentially needed tags across different application domains? 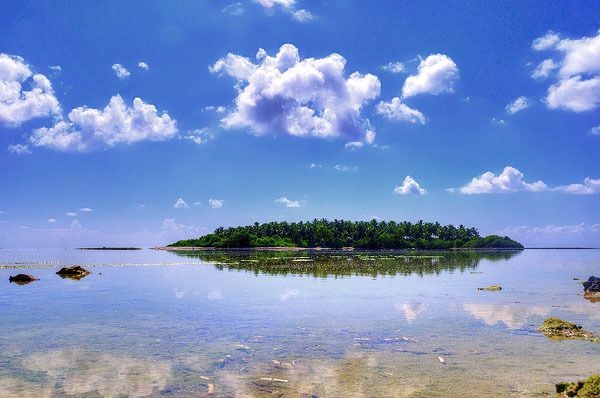 In order to give each domain the possibility to have the tags it needs, the concept of a meta-markup language was developed with the Standardized General Markup Language (SGML). By using a standardized (but complex!) grammar and syntax, each domain can define its own tags and separate the structure and semantics of a document from its lay-out. 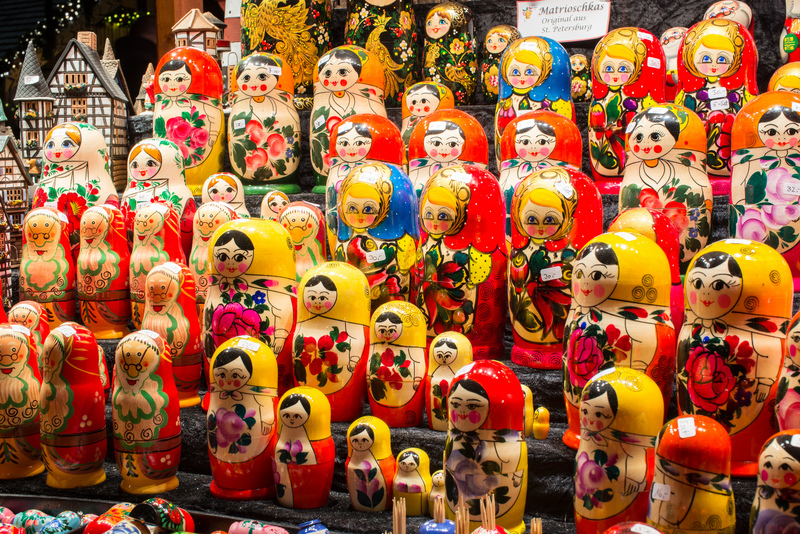 The worldview of markup can be expressed in the form of trees or Russian dolls, in the sense that we always have one root element, which then contains a collection of children and siblings. A child node inherits by default the characteristics of its parent node, but one can overwrite these characteristics by specifying other features, which are then propagated on the more specific levels. 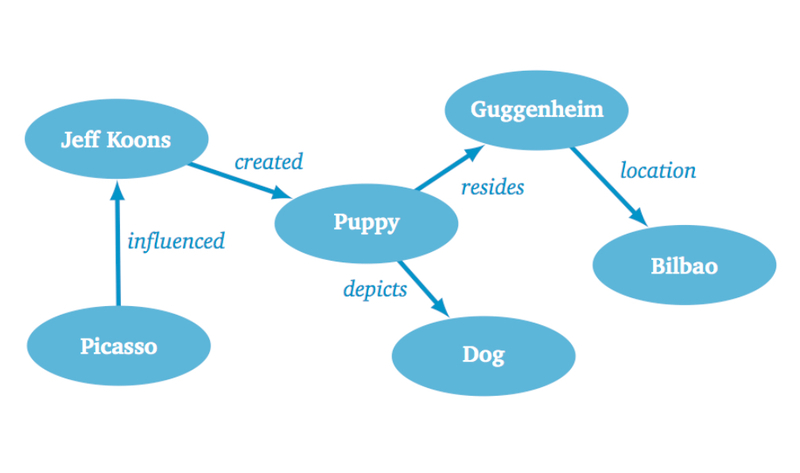 This hierarchical worldview matches very well the reality of archival collections, where the root element is the fonds, consisting of series, subseries, files and finally items. The Encoded Archival Description (EAD) is for example an XML application based on this hierarchical view. Examples: <head>, <body>, <h1>, etc. 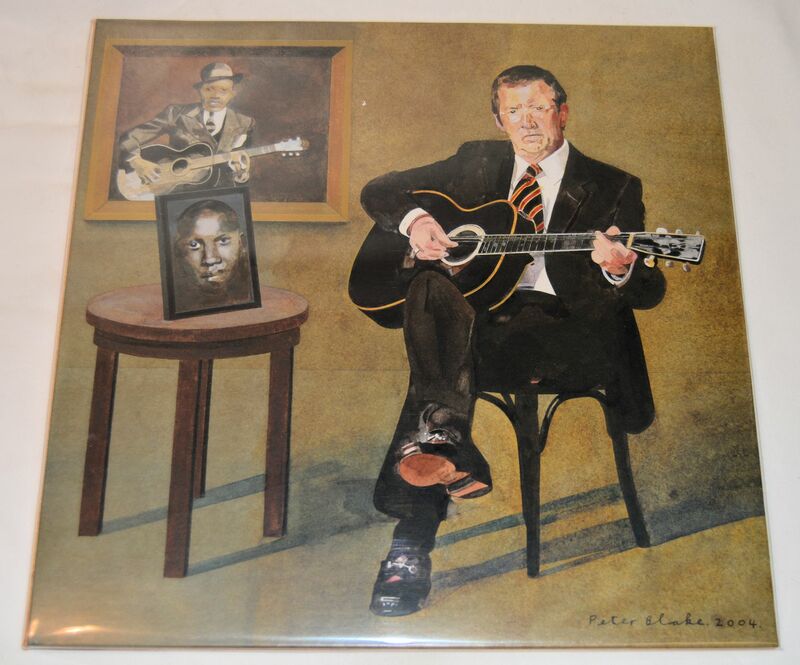 Bob Boiko compared the relationship between SGML and HTML by using the metaphor of Robert Johnson and Eric Clapton: Johnson did all the hard work to define the blues genre, while Clapton reaped commercial success with an easy-listening version of Johnson’s work. SGML was difficult to use and hardly a success story, but it defined many of the conceptual building blocks of the Web. HTML reused some of its concepts in a radically simplified manner, and resulted in the success story we all know. The rapid uptake of the Web throughout the 1990s was accompanied with rising commercial interests. Around 1995, Netscape’s Navigator was the most popular browser but Microsoft aggressively marketed their Internet Explorer (IE) in order to gain the biggest market share. Both browser constructors created custom tags in order to satisfy the growing base of graphic designers interested in the Web. The <blink> element, introduced by Netscape, was for example not supported by IE, who developed their own custom tags such as <marquee>. 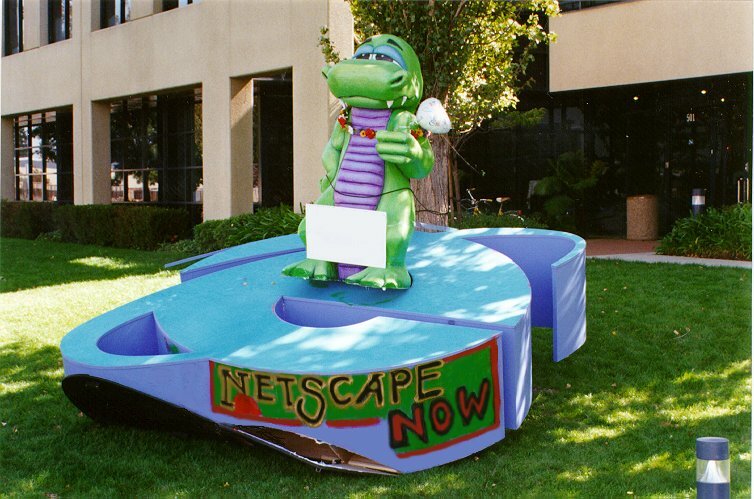 This picture from 1997, at the height of the so-called browser war shows how, after the launch party of IE4, employees of Microsoft put the IE logo in front of Netscape’s offices. In turn, their employees flipped the logo and put Mozilla’s dinosaur logo on top. 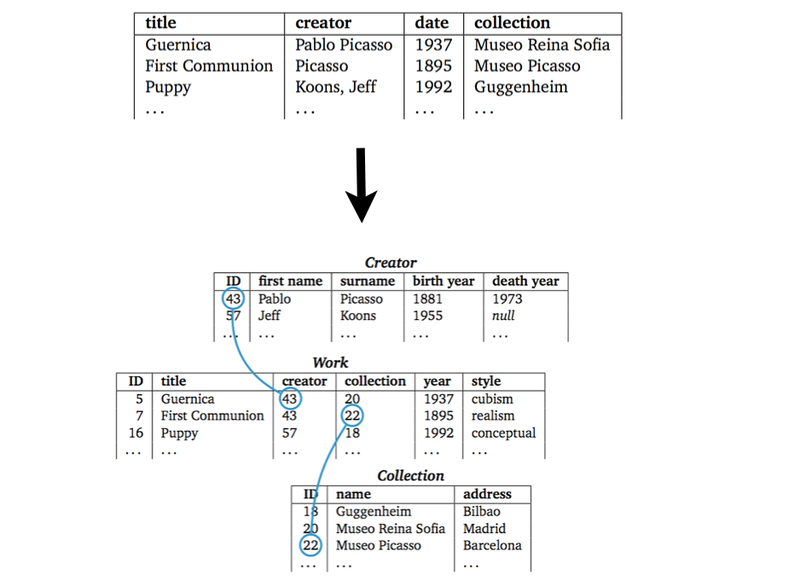 <Work title="Guernica" year="1937" creator="Pablo Picasso"
The hierarchical structure of XML now becomes apparent: the Work element is a child of the Art element. However, note how we’ve chosen to model the metadata of works as attributes. Is this a wise option? This leaves maximum flexibility to extend the document at any point. However, this also comes at a cost: the hierarchy is now relatively deep to express simple concepts, even for straightforward properties such as the year of creation. Let’s go for a compromise! In this example we’ve chosen to model all values that will not be decomposed or require further properties as attributes. For instance, a work’s title does not require further description, but we could add additional information to creator, such as a date and place of birth. When to use a database or XML? Both relational databases and XML rely heavily on a local schema to actually understand how the data are structured. If you want to use someone else’s data, you have to sit down and study the schema, like you need to analyze a map when you go into unknown territory. On top, you need to get a specific map for each trip you’re making! 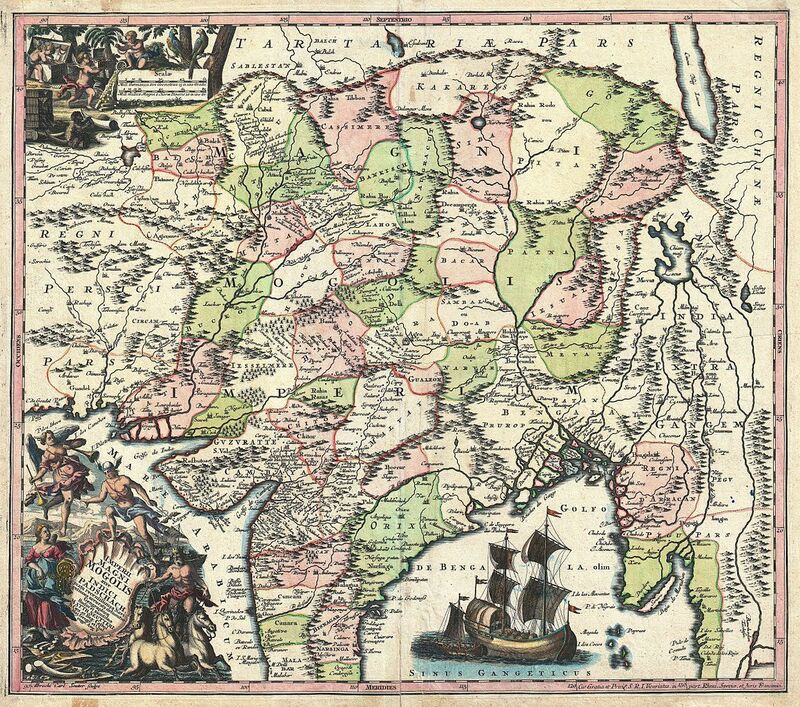 Not only do you need to put effort into understanding, for each of your voyages, how a specific map is drawn (its scale, the symbols used, etc. ), the information is often not available publicly. 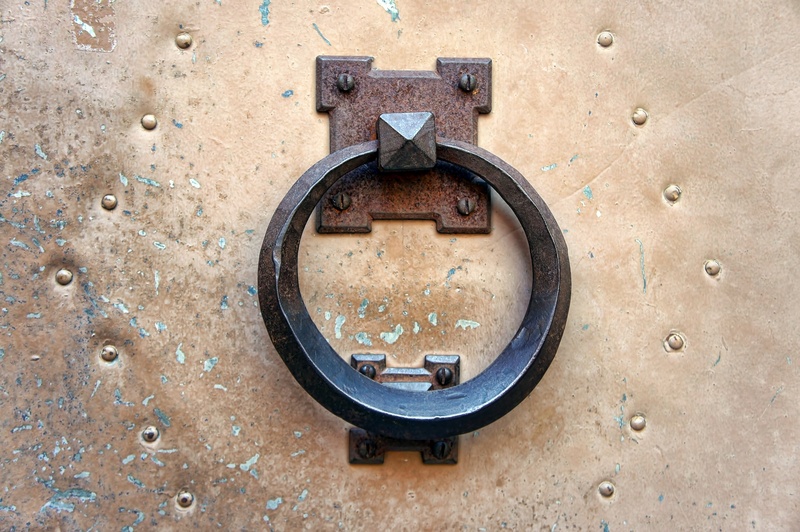 As a data consumer, you don’t want to have closed doors in front of your nose and needing to beg to get in. As a data producer who wants other people to reuse your data, you don’t want to have people knocking on your door every other day and help them use and interpret your data. Our next data model will try to overcome these limits. Our art catalog represented in RDF triples. Notice how easy it is to integrate information and create links in between resources. Picasso influenced Jeff Koons, about which we also have some metadata. Distribution: where the model shines! This module explained the differences between the different models. Depending on the context and what you need, we hope you now understand when to opt for which type of model. Read the introduction chapter of "Linked data for Libraries, Archives and Museums" for a more detailed description of the advantages and disadvantages of each model. 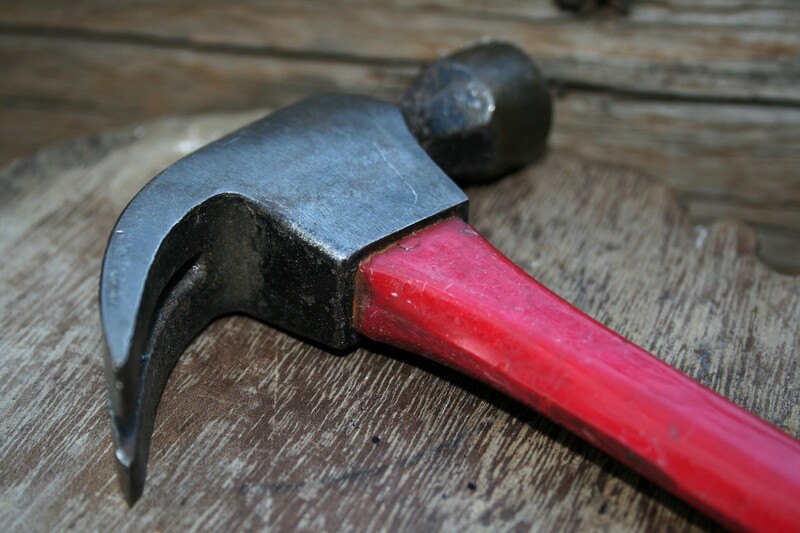 Don’t be the boy with the hammer! Once people develop experience with one tool and model, they tend to use it for everything. For example, it takes some time to develop skills to master the XML suite (XSD, XPath, XQuery, etc.) so after a while people squeeze everything into hierarchical trees to be processed as XML, even if it’s not a natural fit. If you want to share your metadata. If you want to avoid spelling mistakes. If you want to express hierarchy in your metadata. How to decide to represent something as an entity or as an attribute within a database schema? Opt for an attribute if it is an important aspect of the reality you are modeling. No! In that case an entity would be a better choice as you can further document the entity with the help of attributes. It depends on how important that part of reality is within the database. Yes! If you want to give additional information about something, it will be better to model it as an entity, as you can attach extra information to an entity with attributes. It depends on the amount of data you want to store in the database. No, this is an irrelevant argument. 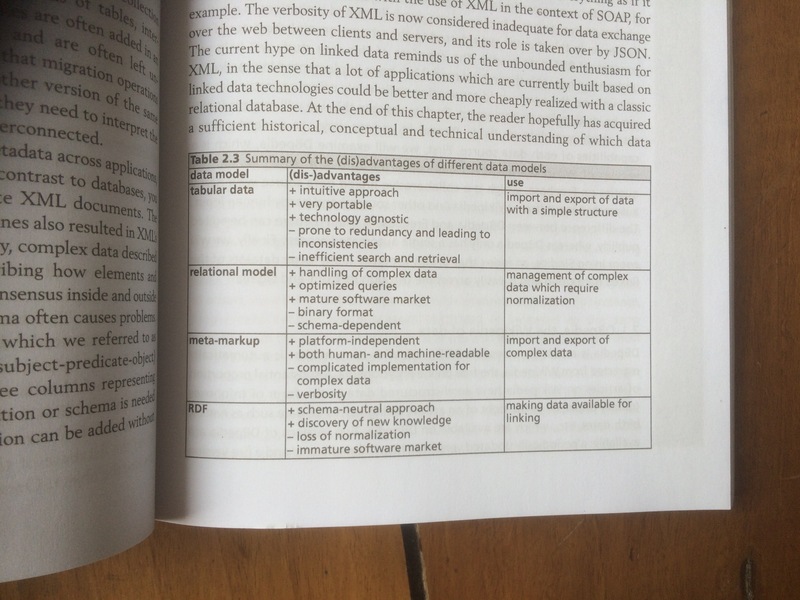 Why is XML interesting from a digital preservation point of view? XML files are non-binary files. Yes, XML files are text files which can be opened and modified with a simple text editor and are independent of any particular software. Yes and no: XML tags allow to explicitly state the role of a specific part of a document, but the interpretation of the name of a tag might be problematic. The name of a tag might quickly lose its meaning after a couple of years, especially when acronyms are used. XML files take up less space than JSON. No, JSON was actually developed as a reaction to the verbose nature of XML and drastically reduces the amount of characters used to represent data. How is XML related to HTML? XML is a subset of HTML. No, XML is a meta-markup language whereas HTML is simply a markup language. Both are examples of a markup language. The precise answer is no, as XML is a meta-markup language: you have the possibility to define your own tags. HTML is simply a markup language with pre-defined tags. XML was developed as a reaction to the evolution of HTML from markup to makeup. Yes! Towards the end of the 1990s, browsers proposed tags such as <blink> which merely had an aesthetic role, undermining the potential for a smarter Web.